I'm now sensing a snake in fishnets rolled in flour with a milk moustache, is that weird? Why don't you leave the shed door open? It can come and go regardless as the shed has more gaps and holes than a kings cross brothel ! Going to be pretty mild here in the next week. Good for the veggie patch. Still warm enough to reach for the water bottle so it ain't over yet. Thank God we aren't getting the temps you posted Nanjim they aren't my cup of tea. Doubled our rainfall for 2019 with a solid 2.8mm this morning, yep a paltry 5.6mm for the year so far. Just got home from work and it’s a toasty 11 degrees. Fire will be getting lit tonight for the second time in four days. You guys getting the heat can keep it for the time being. 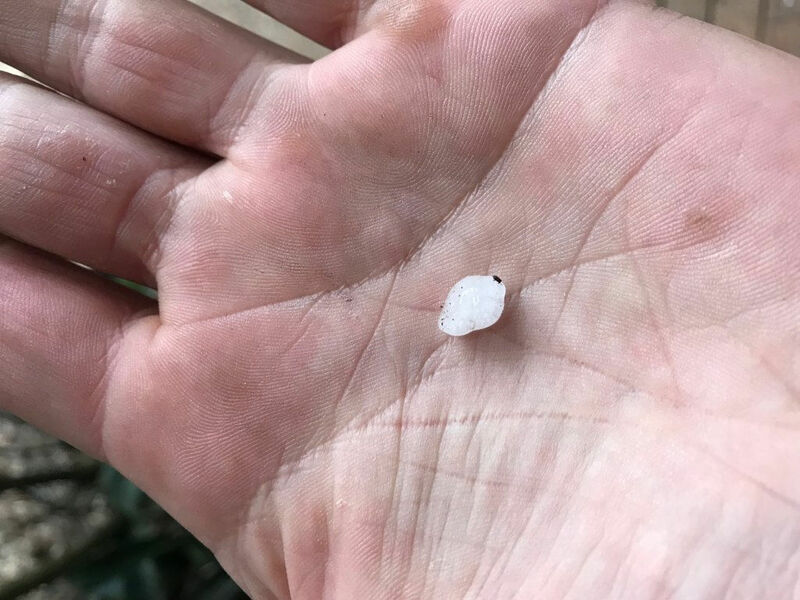 To top off our winters blast, a decent size hail shower and a drop to 9 degrees. Fruit tree mesh works too, hang it up about a foot or two high and pin it to the ground so they can't get under it. Run some along the rock wall and get it as it come out. Went to work this morning with the forecast of 21 today in Melb. At 2pm it was my lunchtime - it was windy, rainy and 16 degrees!! I went home and put on some thick socks, boots and a jacket to stay warm for the rest of the crappy afternoon. Tomorrow's forecast is 19 degrees! Give me heat over cold any day! 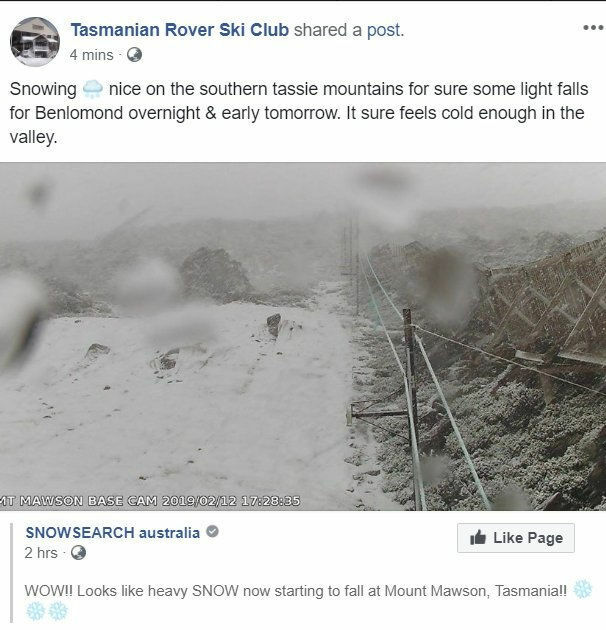 Snowing in Tassie today apparently. Garrett At Pro, XP Deus, CTX 3030, pin pointer. Oldest find 1807 halfpenny, oldest silver 1854 threepence. So what ya recon, safe to walk into me shed with me shorts and thongs on or what? Yep, just bang the door open and shut a few times as you walk in. Well we’ve had stinking hot January here in vic. But traditionaly feburary is the hottest month. Seems as it’s going to be pretty cool in comparison to years gone by. Must be climate change. I think summer has just been on vacation. Yep, Ozzie a warm week in Adelaide to come, early mornings in the shed, the rest of the day veg out in the air cond lounge. We still got above 30---30.6 actually. Gets boring after a month or two. Bring on Winter I say Jaros, I am over it.